Caractere offers custom-designed and manufactured wheels in two flavors, providing either contrast or co-ordination with the paint on your Audi. You choose. The design of the wheel is clean and direct in the Audi tradition. 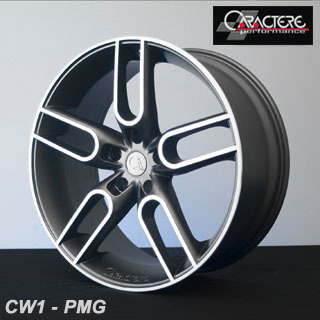 The Silver version (shown below on the left) has a mirror polish finish while the Grafite wheel sports a deep gray matte finish. 5 split spokes producing ten arms offer proportion in unique contemporary styling. 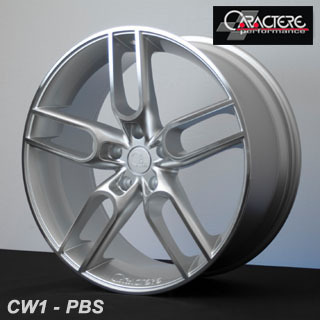 These premium products from Caractere offer all the advantages of great design and manufacture; these Euro wheels will stand up to the test of time on your Audi..